Postal regulations say roadside mailboxes must be set back just 6 to 8 inches from the roadway. That means you have to go close to the road, or even out into the roadway, to get your mail. On heavily traveled roadways, this can be dangerous. To solve the problem, you can make a mailbox post that swivels so that the arm supporting the mailbox can be turned, allowing you to retrieve the contents safely away from the road. A standard post and swivel from the hardware store can be used for this do-it-yourself project. Dig a hole 26 inches deep on the side of the road, approximately 2 feet from the roadside, using a post-hole digger. Fill in approximately 1 inch of the hole with gravel. Drop the 60-inch post into the hole. Pour cement mix into the wheelbarrow. Pour water in according to the directions on the mix bag. Mix the cement mix with a trowel and add water as needed to reach a thick consistency. Fill in the hole around the post. This is the base post. Level the post by checking it with a post level and adjusting it as necessary. Allow the cement to set. Mount the swivel onto the top of the base post using wood screws. Place the 24-inch post on top of the swivel. This is the arm post. Six inches of the 24-inch post should hang off the back end of the base post. Screw the post to the top swivel plate. This will leave 16 inches from the front of the base post to the front end of the arm post. Mount the mailbox onto the front section of the arm post. Follow the mounting instructions provided with the mailbox. 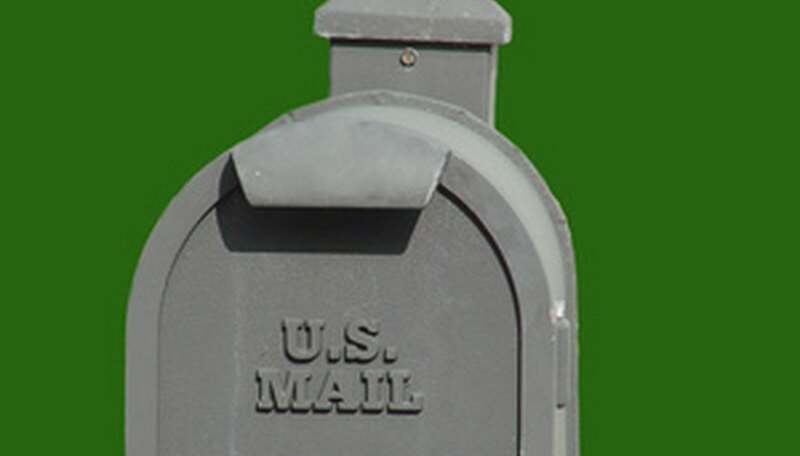 Align the post cap on top of the arm post so that it lines up with the vertical post to appear as though it finishes off the post like a traditional mailbox post. Screw the cap into the arm post. This will add a decorative element to the swivel mailbox post. 1 Post, 4-by-4, 24 inches long.